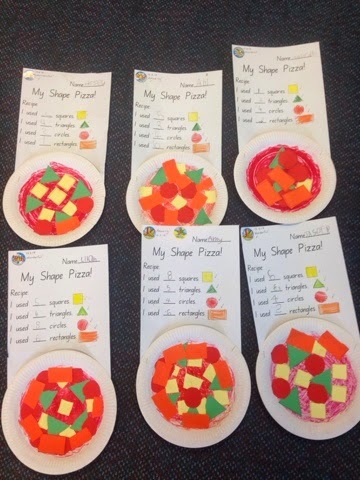 Today my gorgeous class increased their knowledge of 2D shapes by making a 'Shape Pizza'. We used paper plates as the base of our pizzas. Students then coloured the paper plates to make the pizza base. 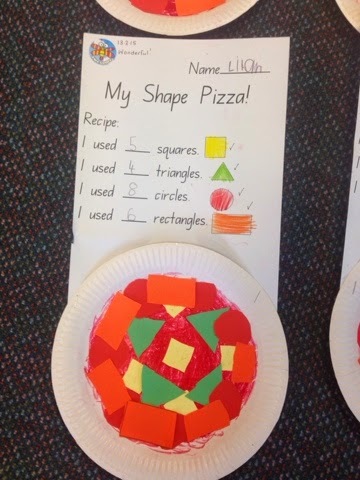 I printed off the shapes onto different coloured paper and students cut them out and added them to their paper plates (pizzas). Students then completed the worksheet provided by recognising and counting how many shapes they had used to make their pizza. I teach Special Ed 1st grade! This is great! Thank you Tracie, I am so pleased your class enjoyed my activity. This is so cute!! I am thinking of creating a Regular and Irregular shape pizza for my 1st graders! Still using this cute concept to get them excited!